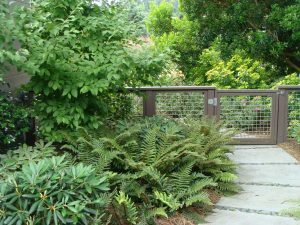 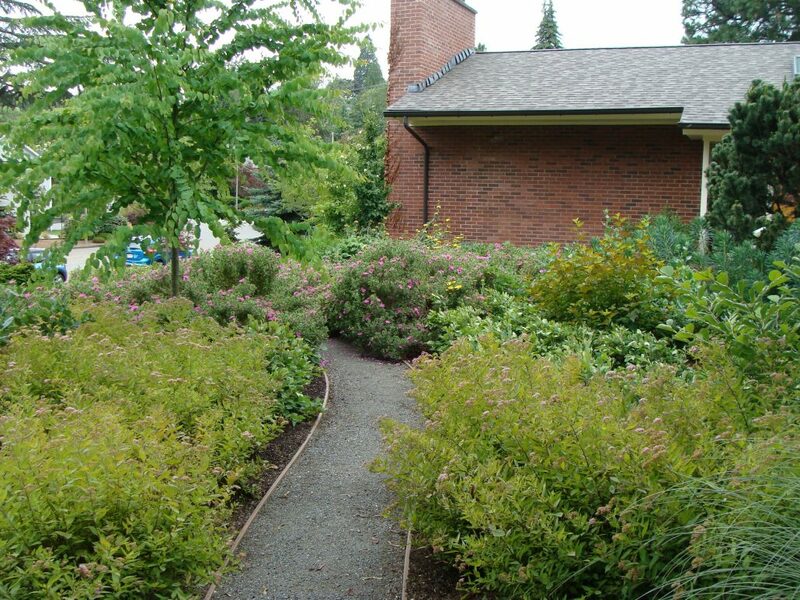 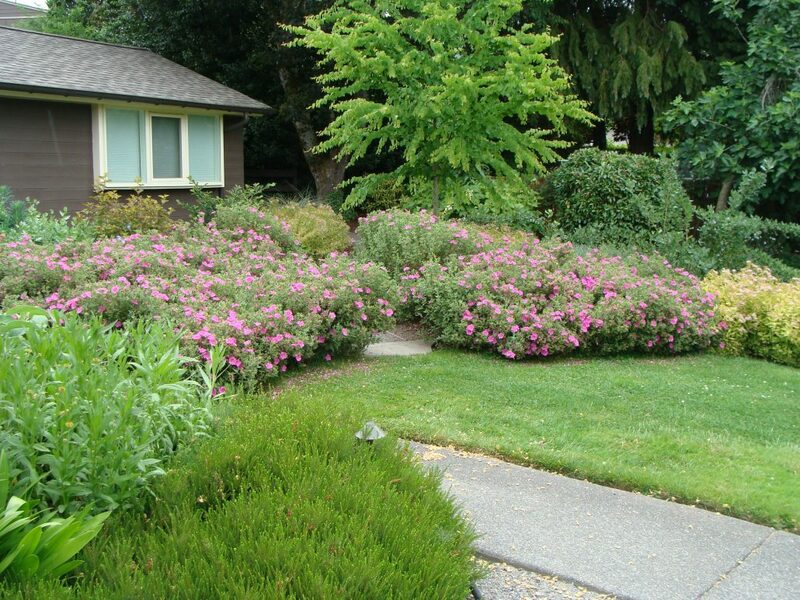 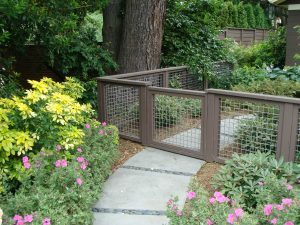 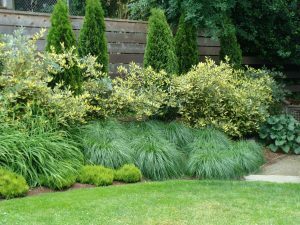 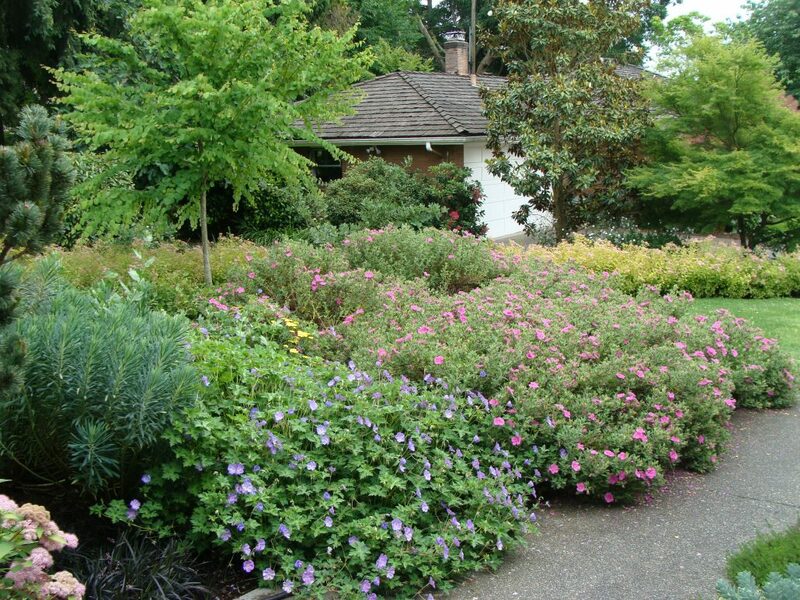 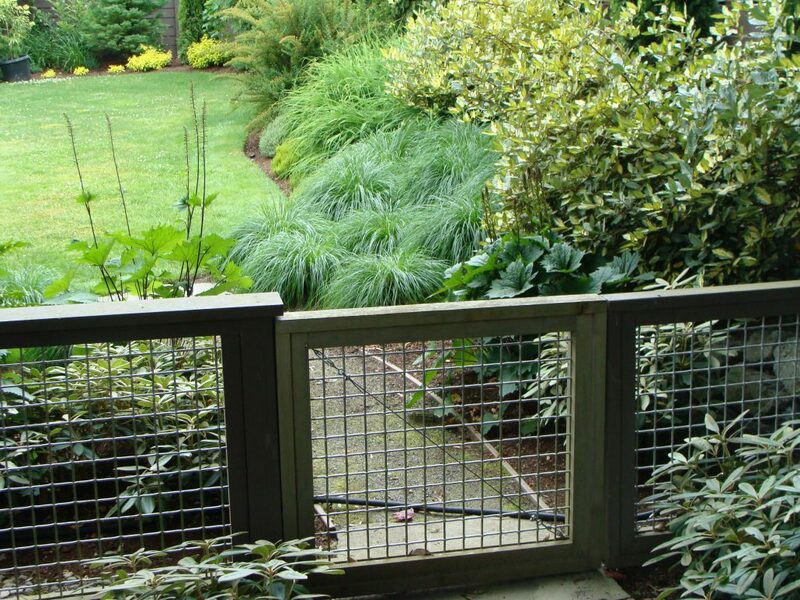 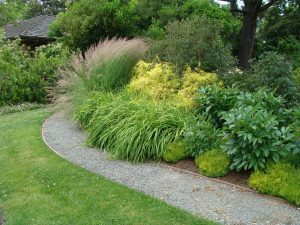 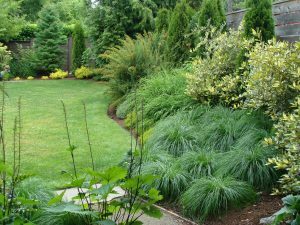 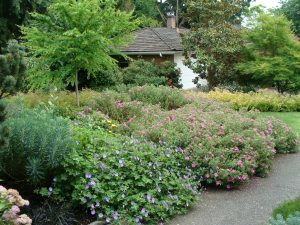 Every so often Seattle Landscape Architect Brooks Kolb has the opportunity to collaborate closely with a client who has a passion for unusual plants and loves to garden. That was certainly the case with this second Windermere garden, located directly across a cul-de-sac from Brooks Kolb’s first Windermere landscape. 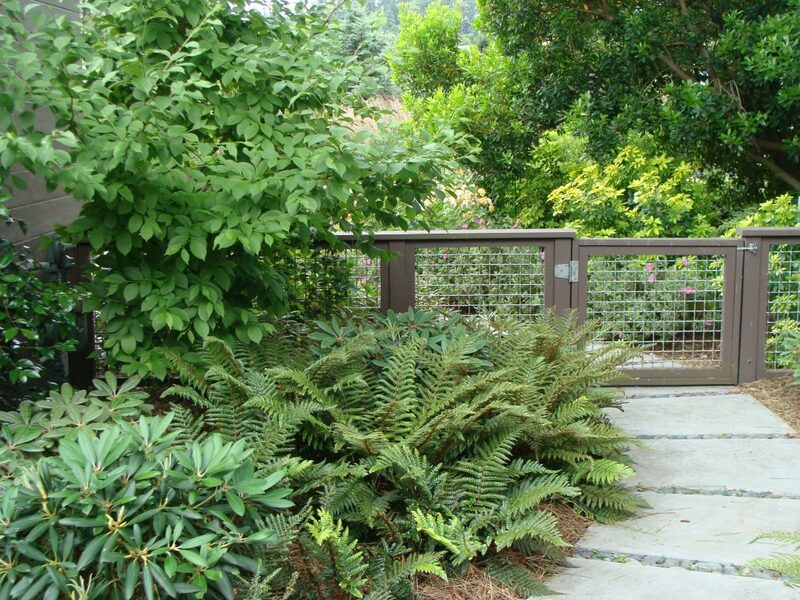 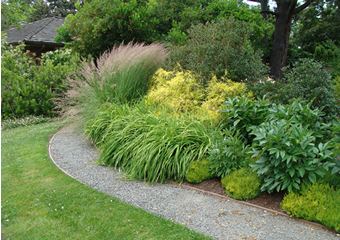 The horticultural variety of the resulting planting design is perhaps the most diverse of any of Brooks’ garden designs and features a number of plants that the client purchased and continued to purchase throughout the design phase and right through to the end of installation. 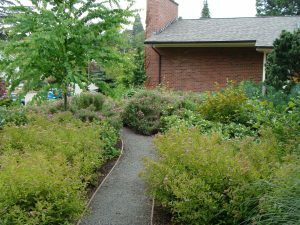 Among the many species and varieties included, three of the most interesting selections are Schizophragma hydrangeoides (Japanese Hydrangea Vines) which were planted to grow up the perimeter fences; Osmanthus heterophyllus ‘Purpurea’ (Purple Holly-Leaf Osmanthus) which was planted as a hedge to screen the owner’s seating terrace from the street; and Abies koreana (Korean Firs) which were planted as specimen conifers on the lower edge of the lawn, next to the sidewalk. 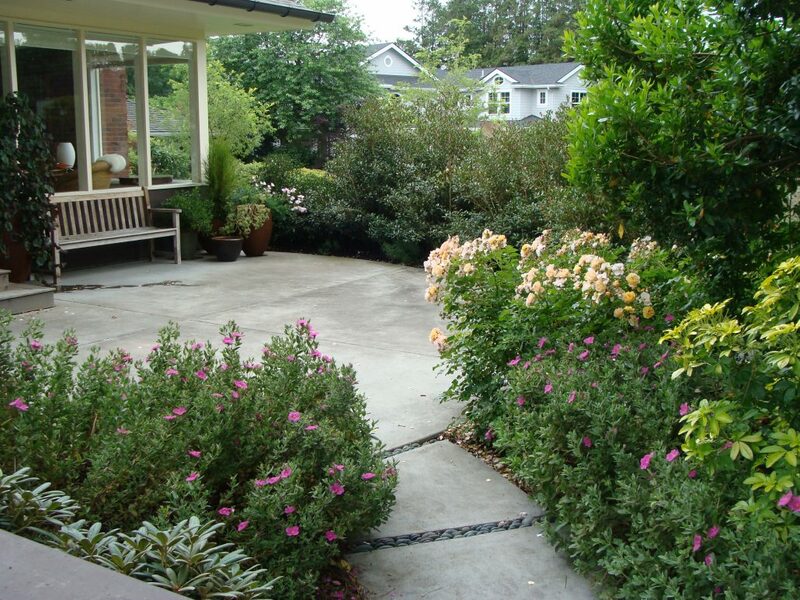 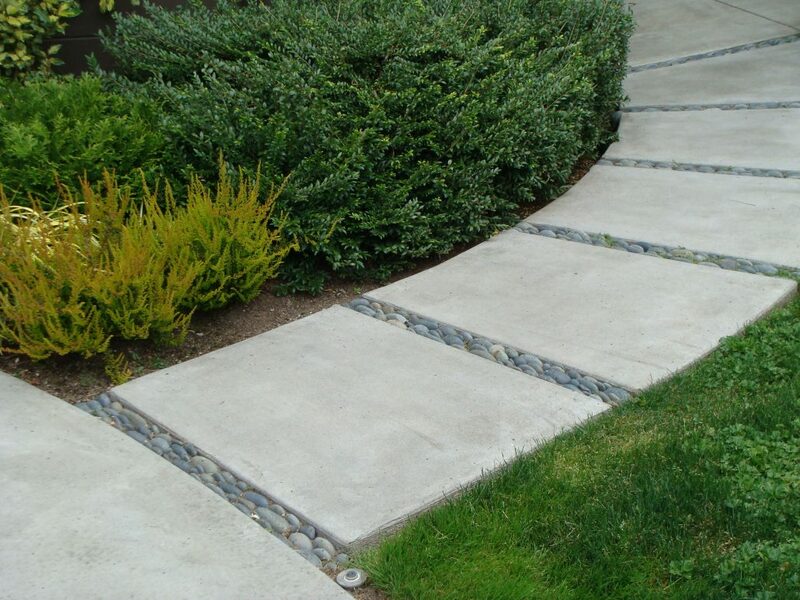 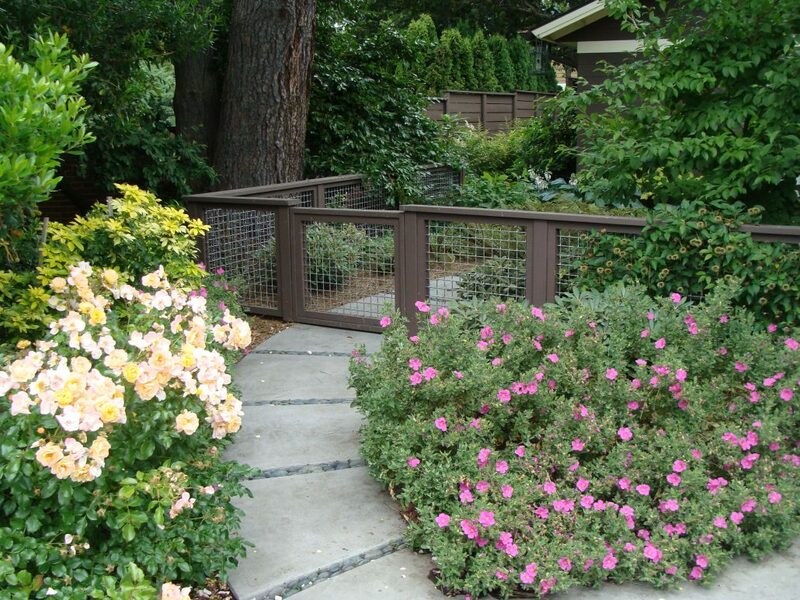 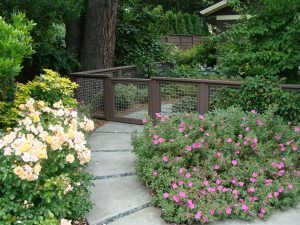 While most of the hardscape in this garden had been previously installed when Brooks began work, his design included new curving paths of concrete stepping pads interspersed with narrow bands of dark gray river rock.